In the heat of the summer, there is little energy left for anything but things that make you NOT. SO. HOT. Am I right? Swimming, splash pads, mountains, beaches. Watermelon, ice cream, popsicles, and grilling outside. And the food is the best! Making tons of concoctions with ice cream makers and the freezer so they cool you down. 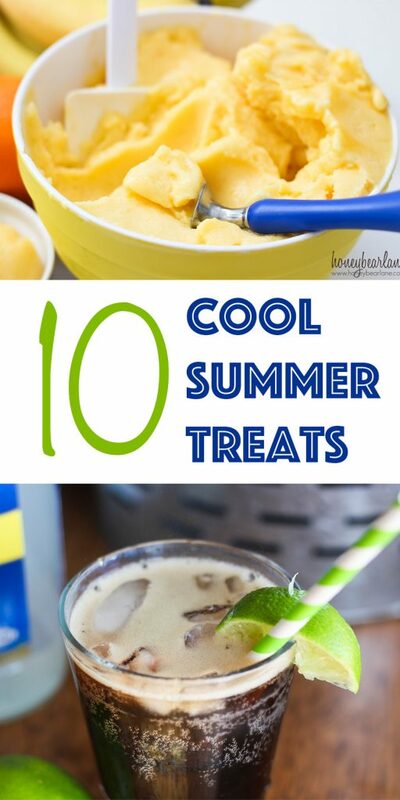 Here is a list of 10 cool summer treats that are sure to hit the spot with friends and family! These desserts are perfect for get togethers, warm evenings, and family reunions! If you liked these summer treats, visit my Recipes page for lots of other fabulous things to make and eat!